After a Kaseya server upgrade, (or often after any upgrade/patch), we get some tickets regarding the inability to access machines via KLC. If you experience this, follow the following steps, and it will generally solve your issue. 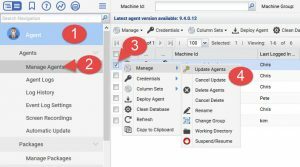 Make sure the agent has upgraded to the latest version – The Kaseya servers now auto-update agents, however they do so at the rate of about 15 per minute. With thousands of agents on the server, your agent might not yet be upgraded by the time you need to remote control it. 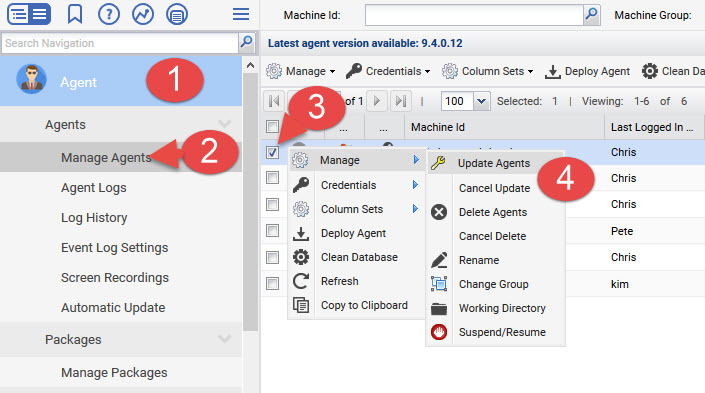 If this is the case, simply go to the Agent menu, select the agent(s) that you want to update, and then either right-click, or select “Manage” from the menu, and then Update Agents. Just schedule them to run immediately. Edit: We actually created a script that will do everything but the reboot. You can download it from here. Run this script right after the KServer maintenance (SaaS = run Sunday, VA Hosted = run Friday). If you still have problems after performing these steps, please open a ticket with us.